1. Inspect. 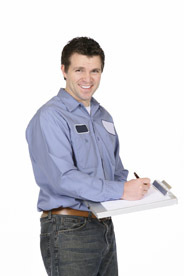 We will inspect your property and provide you with a thorough review of our findings. 2. Listen. Our goal is to meet your goals. If you have pictures, magazine clippings, or even a drawing on a napkin, we’ll take a look. We are listening to what you want. 3. Plan. We will provide you with a variety of products to meet your exterior improvement goals. We will bring samples on site to make the process painless and stress-free. 4. Estimate. When we are done, you’ll have a comprehensive written description and estimate of the project we planned together. Call BRENNAN EXTERIORS at (703) 961-1640 or CLICK HERE to contact us. Provide your name, contact information, and a little bit about your project. We can’t wait to exceed your expectactions!